We offer facts + information, helping to save money, to stay healthy, to have a better life! we need to protect Earth's water resources! Humans need healthy water in our oceans to harvest fish! Water on Earth runs in a water cycle. It raises out of our oceans, rain falls on our landmasses and mountains. Earth's creeks and rivers bring it back into the ocean - the water cycle is complete. Sun + water - no life without them! Water is the most common compound on earth, the fluid which all life depends upon. It's the one liquid Humans must have to live - Humans need to drink water! NASA announced the finding of water ice in several impact craters on Mars. Water and hydroxyl is widely dispersed on the moon's surface. 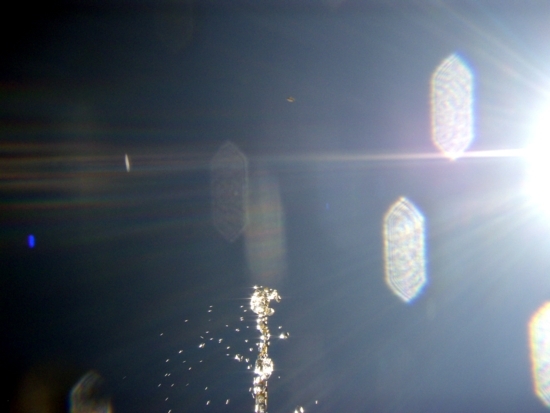 Water is carried by asteroids. Water is common and abundant in the solar system. Observational evidence suggests that water as a solid, liquid or gas is present at the poles of Mercury, within the thick clouds of Venus, on Mars, inside asteroids and comets, and on Jupiter, Saturn, Uranus and Neptune. Jupiter's moons Europa, Ganymede and Callisto have vast subsurface oceans of liquid water. 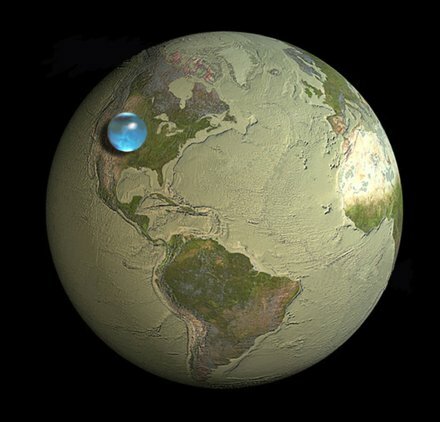 This little blue sphere would be able to hold all water on Earth! Want to get the answer? Did you know that water expands when it gets warmer? An average person can go nearly two months without eating. But less than a week without water could kill you! 2. 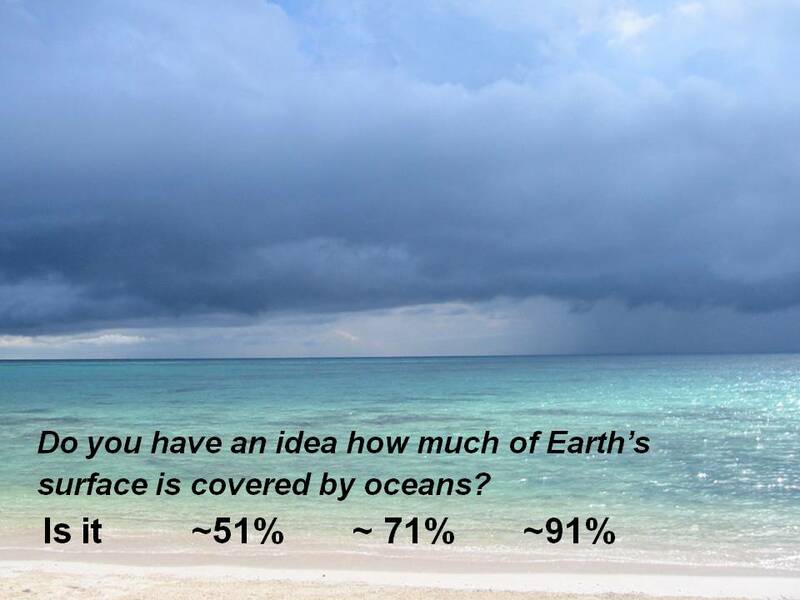 What percentage of the Earth's water is readily available for humans to use? 3. How much water is contained in the human body? 4. Which contains more water as a percentage of body weight, a woman's or a man's body? 5. Why do male and female bodies tend to have different amounts of water? 6. How much water does the human body loose in a typical day? 7. Why is water especially good for people on a diet? 8. 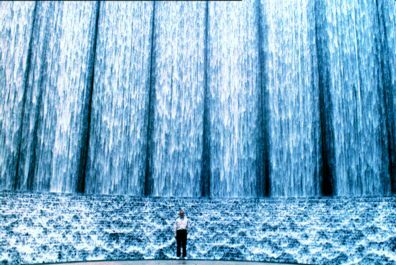 What is the largest use of water... indoors? outdoors? 9. What percentage of treated drinking water is consumed by people? 10. How much of a chicken is water? 11. How much of a pineapple is water? 12. How much of a tomato is water? 13. How much of an elephant is water? 14. How much of an ear of corn is water? 15. How much does a gallon of water weight? 1. Some 80% of the Earth is covered by water / ice. Only about 20% is dry land. 2. 97.5% of the water on earth is salty ocean and 1.5% is frozen. The remaining 1% is available to meet human needs. 3. If you're an adult, your body contains about 40 quarts or 10 gallons of water. 4. A man's body is 60-65% water. A woman's is 50-60% water. The human brain is about 75% water. 5. Muscle tissue contains a large amount of water. Fat tissues contain virtually no water. Men tend to have more muscle as a percentage of body weight while women have more fat. 6. You lose 2.5 to 3 quarts of water per day through normal elimination, sweating and breathing. If you exercise or live in a humid climate, you may lose another quarter. 7. It has zero calories and zero sugar, but a good drink of water can reduce hunger. Water also helps your body metabolize stored fats, helps maintain proper muscle tone, and helps rid the body of wastes. 8. Lawn sprinkling uses the most water outdoors. Inside, toilets use the most, with an average of 27 gallons per person per day. Laundry averages 17 gallons per person per day and showers 14 gallons. 9. Typically, less than 1% of the treated drinking water, produced by utilities is actually consumed by people. Most goes for lawns, showers, and tubs, toilets, etc. How much water does a human need? Every day a human loses water through your breath, perspiration, urine and bowel movements. For a human body to function properly, humans must replenish their water supply by consuming beverages and foods that contain water. 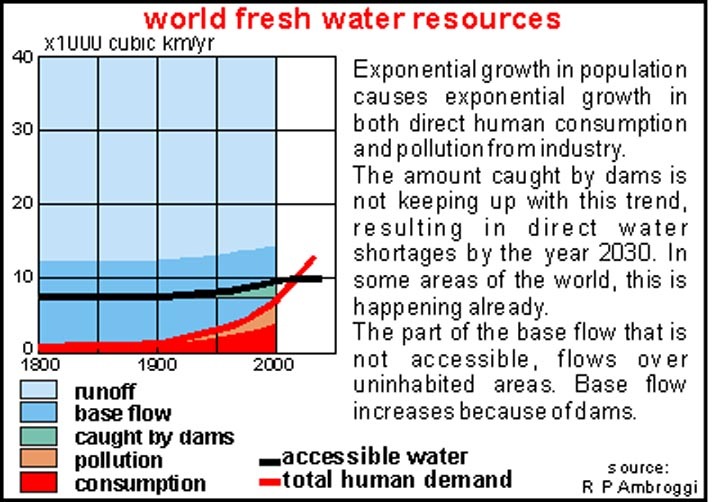 There are different ways to calculate humans water needs. A) Replacement: The average urine output for adults is about 1.5 liters (6.3 cups) a day. You lose close to an additional liter of water a day through breathing, sweating and bowel movements. Food usually accounts for 20 percent of your total fluid intake, so if you consume 2 liters of water or other beverages a day (a little more than 8 cups) along with your normal diet, you will typically replace the lost fluids. Eight 8-ounce glasses of water a day. Another way to water intake is the "8 x 8 rule" - drink eight 8-ounce glasses of water a day (about 1.9 liters). The rule could also be stated, "drink eight 8-ounce glasses of fluid a day," as all fluids count toward the daily total. Though the approach isn't supported by scientific evidence, many people use this basic rule as a guideline for how much water and other fluids to drink. Recommendation: Men consume roughly 3 liters (about 13 cups) of total beverages a day and women consume 2.2 liters (about 9 cups) of total beverages a day. You should drink enough fluid so that you rarely feel thirsty and produce 1.5 liters (6.3 cups) or more of colorless or slightly yellow urine a day. Human need to modify their total fluid intake depending on how active they are, the climate they live in, their health status, and if they are pregnant or breast-feeding. Work outs: If humans exercise or engage in any activity that makes them sweat, they need to drink extra water to compensate for the fluid loss. An extra 400 to 600 milliliters (about 1.5 to 2.5 cups) of water should suffice for short bouts of exercise, but intense exercise lasting more than an hour (for example, running a marathon) requires more fluid intake. How much additional fluid humans need depends on how much they sweat during exercise, how long they exercise and the type of activity they are engaged in. During long bouts of intense exercise, it's best to use a sports drink that contains sodium, as this will help replace sodium lost in sweat and reduce the chances of developing hyponatremia, which can be life-threatening. Additionally, humans need to continue to replace fluids after they are finished exercising. Hot or humid weather can make humans sweat and require additional intake of fluid. Heated indoor air also can cause human skin to lose moisture during wintertime. Further, altitudes greater than 8,200 feet (2,500 meters) may trigger increased urination and more rapid breathing, which use up more of a human's fluid reserves. Signs of illnesses, such as fever, vomiting and diarrhea, cause a human body to lose additional fluids. In these cases humans should drink more water and may even need oral re-hydration solutions. More fluid is needed if a human has a bladder infections or urinary tract stones. Heart failure and some types of kidney, liver and adrenal diseases may impair human excretion of water and even require that a human limits its fluid intake. Women who are expecting or breast-feeding need additional fluids to stay hydrated. Large amounts of fluid are used especially when nursing. Pregnant women should drink 2/3 gallon of fluids daily and women who breast-feed consume 3/4 gallon of fluids a day. Water Conservation: Every Drop Counts! Water is a precious resource in our environment. Growing populations and ongoing droughts are squeezing our water resources dry, causing natural habitat degradation and impacting our everyday use of water. We have no choice but to pay more attention to how we are using water, and how we may be wasting it. We must bridge the gap between our understanding of how important water is to our survival and what we can do to ensure that we have an adequate supply of clean water for years to come. Below a list of the many simple ways you can take action and conserve water, both inside and outside our homes. + Try to do one thing each day to save water. Don't worry if the savings are minimal. Every drop counts, and every person can make a difference. + Be aware of and follow all water conservation and water shortage rules and restrictions that may be in effect in your area. + Make sure your children are aware of the need to conserve water. Bear Springs Blossom Nature Conservation volunteers work hard to protect public health and safety by minimizing contamination of shallow / surficial aquifers and preserving and protecting existing and potential sources of drinking water supplies. Our intent is to accomplish this through both public education and public cooperation. Many aquifers are depleted, because water is pumped up faster, than rainwater can seep in and refill our aquifers. - its not really an aquifer, we would name it surface water reservoir. 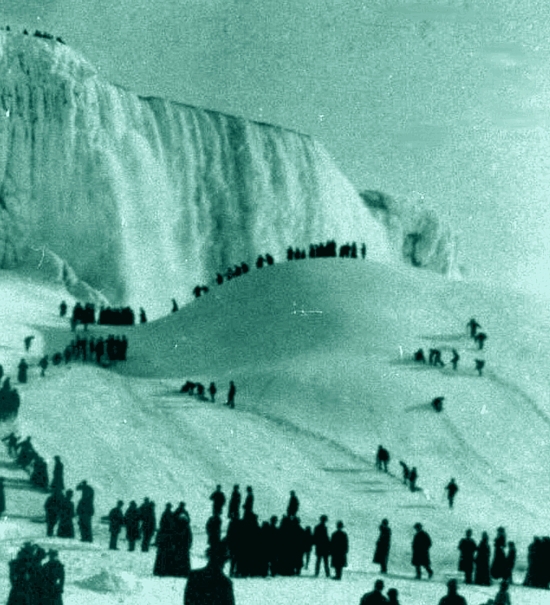 - Wouldn't it be easier to lower our water consumption? We all need CLEAN healthy water, because Water is essential for all life on earth and plays a vital role in the proper functioning of the Earth's ecosystems. The pollution of water has a serious impact on all living creatures, and negatively affects the use of water for drinking, household needs, fishing, transportation, and commerce. Example: one gallon of motor oil can contaminate one million gallons of water! This criminal behavior will affect not only our drinking water, but also water we use for our food plants, our vegetables and water we swim in. making responsible choices. Think before you throw unwanted materials away. Recycle household paints at local PRODUCT CARE locations. Recycle motor oil and oil filters. Never pour oil down storm drains. 2) Keep a pitcher of water in the refrigerator instead of running the tap for cold drinks. 3) Wash your produce in a pan that is filled with water instead of running water. Then use the water in your garden. 5) Direct downspouts and gutters towards shrubs and trees. 6) Don't use foreign grasses in your lawn, use native grasses, they need much less water. 11) Water deeply but less frequently to create healthier and stronger landscapes. Information and Education for all who are interested. Learn to understand! Informed people make better decisions! Let's take care of it, save it for the next generation. Protection of NATURE is very important! Our goal is to protect Nature for the next generation! NATURE = God's creation = humans, plants, animals = Earth, water and air.